Spring and early Fall season. The weather is great, and the colors of the trees are a real show to see (unfortunately not this time, they are still green ). Just another reason to love and visit NY. Here is the outfit that I wore in that day and we hope the weather will stay nice, hope to see you soon NY! I like your coat and bag very much! You look absolutely fantastic! I like these colors! Very beautiful! Square heels : this is new ?! 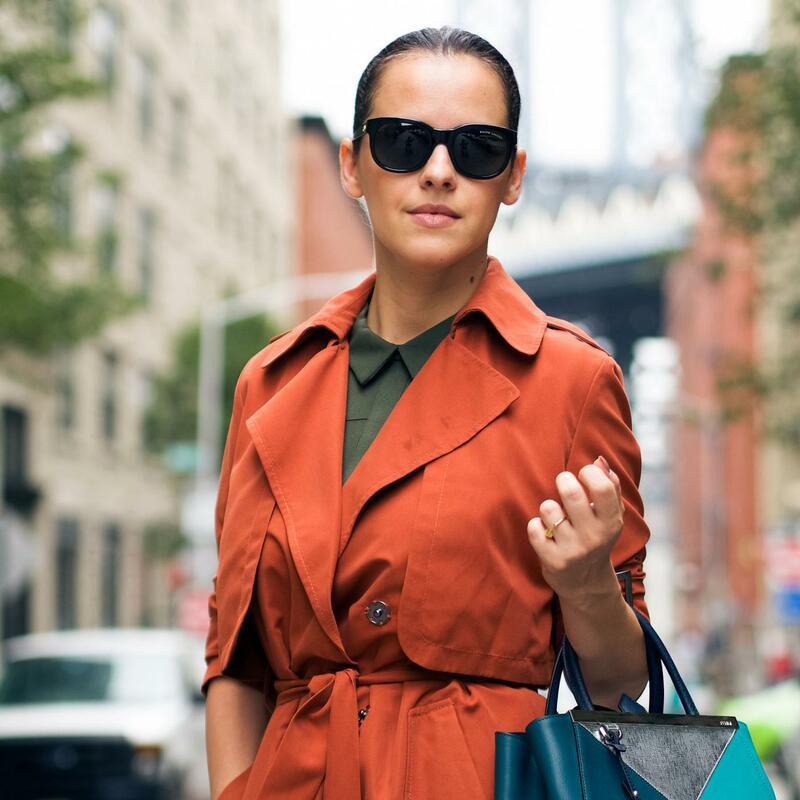 And with this pumpkin trench, you look fab ! Divine shoes! An interesting autumnal colour combination in this look…..both stylish and attractive.